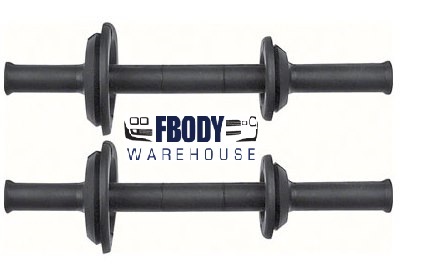 This is a pair of the replacement door handle connection rod clips. 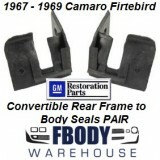 This is a pair of new replacement power window boots for use on the First Generation F-body cars all models. 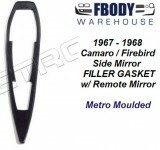 New outside door handle kit for your F-Body. Complete set includes right and left handles, push buttons, gaskets, and installation bolts. 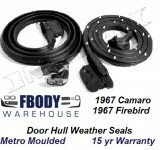 Fits all 67 - 69 Camaro and Firebird models. Replaces original GM handles part numbers 5746870 and 5746871 perfectly. 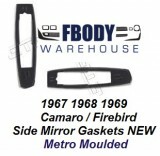 This is a new replacement door top and rear quarter window mounted window sweep glass run kit for your 1968 - 1969 Camaro. NOTE: there are 4 styles to chooe from so please use the drop down menu to select proper ones for your specific car!